Faced with the innumerable personal conflicts and social crises to be resolved, the Free and Enlightened Being (Arhat-Bodhisattva) develops appropriate solutions that are a method and an extraordinary resource for learning from the everyday life. These solutions are a guide to the world, because they teach how the suffering generated by the conflicts between individuals, groups and nations can be properly vanished. However, the reconciliatory method used by the spiritual masters does not imply the development of the intellect, but rather of intuition, which allows to understand the hidden meanings of the problems of existence. By keeping the rational mind in a state of Mindfulness, by clearing it from the illusions of Ego, the apprentice begins to discover the liberating sense that arises from the teachings of the Maitriyana Spirituality. It is about a contemplative learning because when studying the positionings of Free and Enlightened Beings (Arhats-Bodhisattvas) facing the crises and conflicts of life, the subject can start a Path towards Serenity and Awakening (Bodhi) of the life force. The academic or rational way of interpreting the stories of the spiritual master leads to the consideration that their contents are irrational or paradoxical. However, this only proves that the stories of the Free and Enlightened Being (Arhat-Bodhisattva) are supraintellectual, by possessing a paradoxical dialectical logic that is linked to the poetic language. Thus, the approach of the method to overcome crises developed by spiritual masters such as Siddhartha Gautama and Jesus of Nazareth is really based on a trans-historical point of life, providing the mind with a metaintelect that dialectically unifies the opposite poles to paradoxically overcome the conflicts and contradictions at all levels of existence. The metaintelect or Eye of Truth is the higher faculty of the peak knowledge (satori), which causes a sublimating transformation of all conflicting or problematical issues through the unity of the opposites, which results paradoxical and shocking from the lower vision of the ordinary intellect. Therefore, the Free and Enlightened Being (Arhat-Bodhisattva), even when he is a spiritual master Adequately Self-Awakened (Samma Sam Buddha), is not omniscient nor indestructible and should confront the problems of mundanity for continuing to be imperfect, impermanent and insubstantial, although always by overcoming challenges and obstacles of life through compassionate wisdom (karuna-prajna). Faced with a constantly imperfect, impermanent and insubstantial reality it is evident that consciousness experiences frustration and confliction, so that crises inevitably occur. Therefore, the Buddhist Socialism is not a Pathway that seeks to eliminate or hide the conflict, but rather to address it through ethical instruments capable of finding a solution or Cure (Nirvana). Wisdom (Sampajañña) of compassion appears in the Maitriyana as a way of learning in the face of problems, which is the very paradoxical key for their own overcoming. Undoubtedly, righteousness in the immediate resolution of conflicts not only gets self-realize the human being, but also produces a genuine harmony and development on Earth (Gaia). From the vision of dialectical-paradoxical logic, the conflict is an integral part of life, so that the Free and Enlightened Beings (Arhats-Bodhisattvas) usually welcome it as an opportunity of change the vital situation, by understanding that, in the crises, those who fight for goodness and honour emerge. By adopting this attitude of libertarian meditation, both the apprentice and the peoples do not waste the opportunity to grow and move forward towards wholeness. This means that the fate of humanity it is not necessarily self-destruction, because possibilities of change and transformation are constantly open. The function of the spiritual masters is then to inspire the world and provide an example of how one can evolve with balance, by showing that the course of life provides oppressive, sad and painful experiences, but also pleasurable, funny and wise ones. By remaining detached faced with the opposite poles, the subject increases his ability to learn and grow through the compassionate wisdom (karuna-prajna). The method of the Free and Enlightened Being (Arhat-Bodhisattva) is quite simple, studying profoundly the conflict within its context and analyzing the different alternative possibilities for resolving the crises in order to put into practice the most correct and just Awakening (Bodhi) to reach to a true and lasting peace. The Buddhist Socialism field represents an extraordinary example for the entire humanity, by transmitting the method of addressing and resolving conflicts that characterized Gautama and Jesus, who faced multiple problems and challenges through an art or lifestyle based on the compassionate wisdom (karuna-prajña). This implies perceiving conflicts and crises as a wonderful reason to change and deploy creative resources, helping the apprentice to understand his own unconscious while it is taught the people how to get out from oppression, so that crises are an ally in the solution and Cure (Nirvana) of the world. The spiritual master helps people to break free from the emotional burdens and unconscious patterns (bhavanga) of the past, by delving into the crises through full awareness. This allows revalidating and strengthening the commitment to the existence, establishing transparent bonds of friendship with others. Here the Sublimation (Nirodh) has an essential role when detaching and transpersonalizing the consciousness through contemplative practice, which is the only way leading to the full development of subjectivity (viññana) and of the inner vision (Panna), by purifying the process of perception-ideation (sañña) in pursuit of deciphering the unconscious contents (bhavanga-citta) that emerge into the conscious system (Vithi-citta). In fact, the Maitriyana is the One Way (Ekayana) that leads to the integral transformation of mind in both conscious and unconscious sphere. The Buddhist Socialism classifies three classes of conflict: the suffering derived from the neurotic patterns of the unconscious mind (sankkhára-dukkha), the suffering caused by physical pain (dukkha-dukkata) and the suffering generated by the change (viparinama-dukkha). In this way, dissatisfaction (dukkha) has respectively a past, present and future appearance. The kind of conflictivity that is vanished by the Maitriyana aims precisely to the third kind of frustration (dukkha), which is generated by the impermanence and change. Thus, the Free and Enlightened Being (Arhat-Bodhisattva) transmits a practice able to overcome anxiety, uncertainty and insecurity associated with the appearance of the new. In this sense, any change implies crisis, both in personal and social conflicts, because it means the death of what is known, and this profoundly affects the body and mind through unconscious, by producing stress, tension and despair. Therefore, a spiritual master is not a subject that lacks crisis, but rather is someone who is always prepared for unexpected conflicts, recognizing that impermanence and change are constant, trying to understand the root causes of the problems, by disaggregating a solution and communicating frankly and openly to others the steps to be followed. These four noble attitudes are an accurate method to cure society from crises that put in doubt its survival, by causing the evolution of humanity and routing it towards a libertarian socialist civilization. Once this next evolutionary stage is reached, small problems of an everyday order will only remain, which can be resolved without too much difficulty. The Free and Enlightened Beings (Arhats-Bodhisattvas) then prevent the dangers besetting the world, by analyzing crises in their entirety in order to help to find a righteous solution. The Way of Buddhist Socialism helps that a new consciousness in the world crops up through the process of libertarian meditation. The spiritual master teaches that in order to overcome conflicts it is indispensable to implement a revolutionarily renewed attitude through a higher and amplified state of consciousness (H-ASC). Thus, in order to banish the global conflict of humanity it is necessary a radical understanding of the crises, profoundly reflecting on the causes of suffering of the peoples. Therefore, the advice of the Maitriyana is to follow the example of Free and Enlightened Beings (Arhats-Bodhisattvas) as Gautama and Jesus, observing the practices and teachings they left with their selfless presence in society. Clearly, this does not imply a religious attitude towards these great spiritual masters, because the apprentice must never have religious faith but the development of Mindfulness, the profound insight and the peak knowledge (satori) forming the One Way (Ekayana) towards the adequate resolution of conflicts of the world. Evidently, when studying how a Free and Enlightened Being (Arhat-Bodhisattva) resolves his conflicts the individual gets to learn a way to handle his own problems, as well as those of society in general. The incidents and stories of spiritual masters against scorn and recrimination are then the best guidance for the transformation and Salvation of the world. In this way the revolutionary contemplation (kakumei-zen) is a Path that helps the apprentice to overcome insults and disdain in order to be in peace and tranquillity. Obviously, this does not mean running away from problems, since the teachings of the Buddhist Socialism show that conflicts must be confronted and solved before departure. The tools that a Free Being and Enlightened (Arhat-Bodhisattva) uses facing the crises are silence, inner loneliness and compassion towards those who do not know what they are doing. Over time, since the reality is transitory, all unpleasant attitude of contempt ends up disappearing. By not reacting before defamation, the spiritual master follows the complicated path of detached behaviour. Thus, the practice of libertarian meditation is a pathway that does not necessarily entail positive experiences as joy, as a part of the perception of the traumatic features of the Real, as imperfection, impermanence and insubstantiality. As Siddhartha Gautama pointed out, the Maitriyana considers it is much better to live a single day or instant by perceiving the Real than living a hundred years believing that everything is permanent. Therefore, the Free and Enlightened Being (Arhat-Bodhisattva) teaches that it is superior the lifestyle that seeks the Awakening (Bodhi), even if there is only a moment, instead of the materialistic lifestyle that survives hundreds of years without reaching Cure (Nirvana). Indeed, the contemplative observation of the transitoriness helps to develop a clear perception of the Real, being a deep and absolutely indispensable vision for the lifestyle of Spirituality. Moreover, since the status or social respect is something transitory, at some point in his life every spiritual master unavoidably suffers any kind of conspiracy, false denunciation, defamation or even assassination attempt by religious or powerful people, because the Spirituality always affects the interests of those who make profit or have power. However, faced with this fact the Free and Enlightened Beings (Arhats-Bodhisattvas) act with full self-consciousness through the Eye of Truth. In this sense, the spiritual master best represents the interests of the general welfare of the people, always taking care of the most humble and oppressed, which represents a true subversive positioning against the political, economic and cultural structure which prevails in society. While the religious and governmental leaders often use and manipulate the poor, instead, the Free and Enlightened Being (Arhat-Bodhisattva) is characterized by having the honesty and peaceful resistance that Gautama and Jesus showed against all kinds of crises. Instead of being passive, flee or be violent, the spiritual master adopts an attitude according to which all personal, social or international conflict must be finished in its very point of origin, which allows to overcome the crises through a useful and effective conduct. Thus, as it has been seen in the lives of Gautama and Jesus, the contempt, accusations and slanders of society when they are ethically confronted with equanimity, they rapidly vanish like any feeling of anger. Certainly, Buddhist Socialism teaches to overcome crises and difficult situations with patience and Mindfulness, by offering a model of stoic behaviour that is a practical method in order that all the peoples of the world are able to overcome infamy of capitalist civilization, remaining strong and loyal to the spiritual values. Therefore, the Free and Enlightened Being (Arhat-Bodhisattva) has a victorious attitude and he is never expressed as a pusillanimous that flees faced with negative situations. In the same way as if it were to react with violence, if the spiritual master comes to flee from crises, he would only achieve giving them reason to those who insult him, reason by which it is recommended the subject to wait with patience and Mindfulness so that peace and serenity naturally emerge. Definitively, Gautama and Jesus confirm that patience is the supreme way of the Awakened and Saviour Beings (Buddhas-Christs), whose teachings are summarized in abstaining from evil, in the act of doing good and purifying the mind. This transmission of Truth never causes pain to fellow beings, because it belongs to the serenity and compassionate wisdom (karuna-prajna). The apprentice who does not despise or does not cause pain to others achieves to remain in a higher and amplified state of consciousness (H-ASC), by taking care of himself and the world through the constant moderation and humility, as Gautama and Jesus did. The libertarian meditation is an exercise of frankness and honesty, always maintaining a pedagogical aim for all of humanity. This practical philosophy of Sublimation (Nirodh) is what all the Free and Enlightened Beings (Arhats-Bodhisattvas) taught and embraced, who sought to purify the individual through the de-identification of the impurities of attachment, aversion and unconsciousness. Thus, the shelter during this process of emptying of the apprentice shall be the teachings that clear the path towards the Awakening (Bodhi), never by clinging to the figure of the spiritual master, who is nothing but an equanimous assistant in the process of the overcoming of crises of existence. For the Maitriyana, what is most worthy of admiration of Gautama and Jesus is that they were fully delivered to the Purpose (Dharma) of helping the whole humankind without any distinction, by exercising the supreme virtue of Equanimity when trying to avoid war in all nations. In this sense, the great Free and Enlightened Beings (Arhats-Bodhisattvas) are synonymous of righteousness and justice, by perceiving deeply and contemplatively the Real. Indeed, the force of Equanimity and compassionate wisdom (karuna-prajna) transcends the opposite poles, by allowing the individual to be able to position beyond pleasure and pain. In the Path towards the Cure (Nirvana) of both apprentice and society, equanimity indicates the direction or Purpose (Dharma) of the libertarian meditation, through which it is possible to embrace the many possibilities of existence without attachment or aversion to any of them. Following Gautama and Jesus, the Buddhist Socialism affirms that the death and repression drive is overcome by the ethical conduct of the individual who lives his existence with Mindfulness, peak knowledge (satori) and Liberty. The Maitriyana establishes that in order that the apprentice can access a stage of Liberation, his inner energies must be balanced by means of the contemplation in action. This mystical balance (Samadhi) facilitates the emergence of a powerful inner Vision while it allows the subject has the will to dissipate the obstacles and consummate the transformation of both himself and the world. If the sublimated energy is insufficient, this profound state of libertarian meditation does not occur. Thereby, both the sublimated energy of life and the balanced consciousness are essential for the practice of transformation of society, which is the search for conquering the ultimate goal of progress and the Awakening (Bodhi) of the world. The movement of Buddhist Socialism has the Purpose (Dharma) that Spirituality flourishes among all the peoples of the Earth (Gaia), unselfishly striving to help the entire humanity through the compassionate wisdom (karuna-prajna) and the Spiritual Love towards all beings. These premises of the spiritual master allow the Maitriyana to clearly perform its pacifist mission, by enacting a righteous and just society that fully embraces the Purpose (Dharma) of the spiritual evolution of consciousness. Unlike governors, the Free and Enlightened Being (Arhat-Bodhisattva) is at the service of the welfare of the people, by fighting for peace, social justice, advanced education and ecological harmony. Therefore, the Buddhist Socialism criticizes the traditional state policy for not caring about the happiness and Liberation of society, which should be the main mandatory interests of every ruler. Thus, the possible silence or non-action of the spiritual master in the face of crises is actually about a strong complaint to the status quo of the world, by being a subversive practice against social functioning, because the Free and Enlightened Being (Arhat-Bodhisattva) is not a mere political opponent and he knows what is the adequate time and mode to convey his struggle against war, poverty, ignorance and pollution. Therefore, the spiritual master exposes the bases of the Purpose (Dharma) of evolution of consciousness of humanity but without losing sight of how to help the poor and hungry in the here and now. Definitively, the apprentice has more possibilities of accessing the Cure (Nirvana) if he is fed and in good health, so that the Maitriyana shows a great sense of empathy and affection for the oppressed ones, at the same time it has a great patience and understanding in the face of basic needs. This bright and devoted mission of the Buddhist Socialism for the good of all humanity is because it complies with the profound insight that Gautama and Jesus had, who clearly perceived how the people can reach the Supreme Bliss of Salvation. The Maitriyana cultivates the psychical equilibrium (Samadhi), develops the compassionate wisdom (karuna-prajna) and practices the code of ethical conduct (sila), so that it helps to transform the mind and the community, by concentrating the absorption capacity in a single point that is the analysis of processes of internal and external world, which enables the subject to be able to overcome the conflict between the opposing poles and to perceive the Real from the angle of dissatisfaction, impermanence and insubstantiality. Precisely, the Buddhist Socialism is a practice of contemplation in action that combines compassion and wisdom for every act of daily life. Without damaging the spiritual precepts, the Free and Enlightened Being (Arhat-Bodhisattva) immerses into the turbid water of the social in order to be a Great Compassionate Master of the World. Thus, any apprentice of Maitriyana knows that Gautama and Jesus were great orators and eminent political analysts, knowing to clarify how to simplify the problems attacking the peace of society. By dis-occulting the hidden sense of existence, the Buddhist Socialism disentangles an intricate pathway towards the organic evolution of humanity. Certainly, as Gautama taught before dying to the ascetic Subhadda, the Noble Eightfold Path is the recipe to cure the world and produce Awakened Ones (Buddhas), who does not exist in every Spirituality lacking of this Path of Righteousness comprised of Adequate Vision (Sammá-ditthi), Adequate Decision (Sammá-sankappa) Adequate Word (Samma-vácá) Adequate Acting (Sammá-kammanta), Adequate Mode of Living (Sammá-ájíva) Adequate Effort (Sammá-váyáma) Adequate Attention (Sammá-sati) and Adequate Concentration (Sammá-Samádhi). The Maitriyana feels a great empathy for all the peoples of the Earth (Gaia), so that it strives to disinterestedly provide an answer to the dilemma of survival and Salvation of humanity. Despite the fact that in the capitalist civilization this type of search does not generate any respect or admiration, the service of the Buddhist Socialism strives to apply a profound knowledge and contemplation in action which can achieve the Awakening (Bodhi) of the whole society. In this way, it is completely admirable the intuitive intelligence and compassionate wisdom (karuna-prajna) of the spiritual master facing the delicate issues of the world, by offering a psychoanalytical method of psychological sagacity by providing a direct response half hidden in order to allow the individual discovers the Truth by himself. Nonetheless, this implies that the Free and Enlightened Being (Arhat-Bodhisattva) is philosophically unpredictable, since at the moment of spreading Spirituality he uses the dialectical paradoxical logic, never fully knowing how he is going to react facing a new situation. Thus, both Gautama and Jesus were spontaneous incarnations of a revealed knowledge, being profoundly lucid, wise and compassionate, reason why during 2600 years their aura has been risen up to illuminate the Earth (Gaia). The Maitriyana denounces that the lack of lucidity blinds the consciousness of the apprentice, simultaneously obscuring the vision of the world, by catching him into a vicious circuit of greed, hatred and delusion. Indeed, without compassionate wisdom (karuna-prajna) the society becomes a slave of the longing and thirst for domain, because attachment, aversion and unconsciousness contaminate the mind and the habitat of beings. The libertarian meditation is then the pathway to sublimate the Desire and simultaneously transforming the world, by clearing the mind from all venom in order to deploy a righteous way of living and full of love in the here and now. For the spiritual master the source of suffering is the pulsional energy of repetition (karma), which is closely linked with the psychical vices and the lack of awareness. 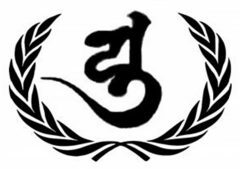 Therefore, the contemplative cultivation of Mindfulness and the training in peak knowledge (satori) are the practices of the Buddhist Socialism leading to the radical transformation of mind and society. The Maitriyana then affirms that the mission of Gautama and Jesus was not releasing anyone, because they simply had the function of showing the Way so that humanity discovers the Noble Truth and can be released and saved by itself. In this sense, the Awakened and Saviour Being (Buddha-Christ) teaches the practice of libertarian meditation as a means of self-awareness and self-transformation, which requires Mindfulness and a lucid perseverance in the Nothing-in-Being. By keeping incisive at all times the individual can overcome the internal obstacles, reaching the Noble Truth as a form of irreversible evolution of mind, which remains anchored in contemplation and Cure (Nirvana). Thus, the true sage (muñi) is not characterized by his intellectual knowledge and cultural opinions, but for being absolutely free and empty from psychic contaminations as craving for accumulation of wealth or power. The Free and Enlightened Being (Arhat-Bodhisattva) experiences Awakening (Bodhi) with total detachment towards selfish satisfaction. That is the immutable Purpose (Dharma) of the compassionate wisdom (karuna-prajna) that characterizes the altruistic mission of the Buddhist Socialism for the sake of the human being. In this way, the apprentice who treads the Path of Truth is directed to the integral transformation of mind, freeing himself from psychic contaminations of Ego in order to never return to the ordinary state of consciousness (OSC), because he has evolved by remaining imbued with peak knowledge (satori). This kind of subject has been then converted into a spiritual master, by being immune before the inner greed or social status, because he has stripped from anxiety and hesitation that characterizes the mind that is clung to the mundane. The Purpose (Dharma) of the Free and Enlightened Being (Arhat-Bodhisattva) is always the Cure (Nirvana) from attachment (upadana) and compulsion (tanha), since when he reaches this Liberation for himself continues wishing it for the others. Definitively, according to Maitriyana the Awakening (Bodhi) it is the most safe and welcoming refuge for the peoples of the world who may experience an existence of tranquillity and overcoming of suffering. The most basic contemplative practice of the Buddhist Socialism consists of sublimate the compulsion to attachment (tanha-upadana), which is the factor tying the human being to the illusions of Ego and the mundane desires, pushing him to the repetition (karma) of suffering . Therefore, the libertarian meditation starts from the analysis of experiences in order that the apprentice understands the obstructive forces (Mara) which inhabit his mind, by assuming in depth the difficult task of transforming his interior and exterior. Thus, the objective of Maitriyana is transforming the longings and attachments of humanity, by changing them by the Purpose (Dharma) that Gautama and Jesus had: the aspiration for transcendence and the love for life. Only through this analytical, existential and libertarian journey it can be abandoned selfishness, dualism and consumerism. To this end Buddhist Socialism proposes three fundamental ways of being, as Equanimity, Mindfulness and Adequate Thought, which purify the mind, including unconscious (avidya), by showing how to transform the world dominated by pleasure and obsession. The individual achieves the Cure (Nirvana) when he gets completely sublimate the compulsion to attachment (tanha-upadana), by keeping Mindfulness facing complacency and self-representation of Ego so that this does not have a central space in life. In this way, the apprentice takes the reins of his existence, by self-realizing and engaging with transforming the inner and outer world by unconcealing the intrinsically luminous consciousness of the True Being. By keeping his mind in a contemplative state, the subject must direct his Mindfulness towards the direct and constant perception of the three features of existence, which are dissatisfaction, impermanence and insubstantiality. This authentic and alert introspection allows understanding the fundamental nature of the conflict, which can be overcome through the sacred life of the libertarian meditation. When fully contemplate the emptiness of existence, the spiritual master vanishes the false metaphysical or nihilistic point of view, not distracting his watchful attention with illusory ideas nor with consumerist practices, which demonstrates the need to maintain an attitude of dialectical openness in order to achieve reconciliation (maitri) among the peoples. The Free and Enlightened Beings (Arhats-Bodhisattvas) accept questions and give explanations in public. This is not an easy thing because it requires much intelligence and intuition, by knowing how to apply subtle mystical techniques in order to successfully respond in a dialectical battle, especially when individuals who are refractory to analysis (Padaparama) are taught, who tend to raise questions not because of the fact of learning but rather to try to embarrass or molest the great sages. Precisely, this very thing was experienced by Gautama and Jesus, who not only confronted the religious and political status quo at that time, but they also assumed the enormous challenge of reaching to the Adequate Self-Awareness (Samma Sambodhi) by themselves, because they lacked spiritual masters who teach them to achieve the overcoming or Cure (Nirvana) of all conflicts. Definitively, what converts the apprentice into a Free and Enlightened Being (Arhat-Bodhisattva) is not the guidance of a teacher, but the fact of renouncing the Ego, by extinguishing greed and reaching self-realization of the peak knowledge (satori). However, according to Gautama and Jesus, the Maitriyana states that there are two main categories of human beings: those who can learn to be transformed (neyya) and those who are refractory to be analyzed (padaparama). While the subject who can learn (neyya) has a strong and healthy mental foundation, by being able to understand and integrate the Spiritual Purpose (Dharma), on the other hand, those who are refractory to be analyzed (padaparama) have an Ego too thick to learn the mystical practice, so that their consciences are too limited to appreciate and apprehend the teachings of the spiritual master. This pathology of learning disability was known by Siddhartha Gautama thanks to his training in psychiatry. The Awakening (Bodhi) is then the fruit of a capacity that is latent in the majority of people, although in certain kinds of people this ability seems to be almost nullified by serious mental contaminations, even if they can show a brilliant intellectual mind. Thus, the self-transformation or spiritual development of the higher and amplified state of consciousness (H-ASC) must be experientially or viscerally captured but never intellectually. The Free and Enlightened Being (Arhat-Bodhisattva) applies the compassionate wisdom (karuna-prajna) of the Cure (Nirvana) with total patience and tranquillity, since only the force of equanimity leads to the full victory over selfishness, dualism and consumerism, by living in honesty and trustworthiness in order to rest in happiness. Therefore, the spiritual master is one of the most hardworking human beings in history, devoting all his time and energy to the Purpose (Dharma) of helping humanity, because he works with intelligence and serenity for the welfare and harmony of all peoples. Thus, Gautama and Jesus succeeded to revolutionize the social order of the past, completely dispensing with the injustices and illusions of the metaphysical or materialistic system of their times, as the custom of animal sacrifice to the gods, to be replaced by a loving, wise and compassionate system towards all beings of Creation. According to the Buddhist Socialism, in this achievement lies the divinity or supermanhood of these great spiritual guides, who helped millions of people to purify their minds, perceptions and actions in order to open eyes to the True Purpose (Dharma) of life. The inexhaustible altruistic delivery that Gautama and Jesus performed to all humanity, regardless of race, religion or social status, left a legacy of two thousand six hundred years of unlimited compassionate wisdom (karuna-prajna) in the world. The Maitriyana continues this legacy of redemption and Evanescence (Nirvana) of the suffering of the peoples, by profoundly respecting and appreciating the genuine love and peak knowledge (satori) that these great Free and Enlightened Beings (Arhats-Bodhisattvas) had. The spiritual master is endowed with an iron health, extensive integral knowing, superior ethical values and unwavering Liberty, by setting these resources in motion in pursuit of the mission and Purpose (Dharma) of saving humanity. The work of the Free and Enlightened Being (Arhat-Bodhisattva) is based on three main steps: first, it covers both his basic needs and those of his companions-of-Way; second, cares for his acquaintances; third, provides a service of welfare to everyone. This implies that an Awakened and Saviour Being (Buddha-Christ) does not only have good physical health to help humanity, but he also provides a particular treatment to his faithful companion-of-life, who gives unconditional support in the Path of Spirituality, as Yasodhara and Mary Magdalene did. Obviously, Gautama and Jesus felt an enormous affection towards their respective companions, by helping them to evolve their inside and to reach the Awakening (Bodhi). Therefore, the Buddhist Socialism proposes a kind of mystical marriage and a model of enlightened family, by following the example of Siddhartha Gautama in his relationship with Yasodhara and his son Rahula, to whom he left the best inheritance or legacy that can exist: abandoning the mundane life and joining the Path of Spirituality to achieve the supreme goal of Cure (Nirvana). In this sense, the spiritual master abandons the ordinary family but is open to form an enlightened family, which is perfectly illustrated in the model of spiritual commune (sangha), where each member is considered as a brother. The Maitriyana is at the service of the world, performing their humanitarian and spiritual work for the welfare of the people, because it is not only indicated the path towards true mental health but also towards world peace, seeking that both the apprentice and the government abandon the use of violence and oppression in order to pass to be governed by righteousness and law. By fighting against cruelty of the mundane Power, the Buddhist Socialism seeks that humanity recovers calm, because the subject must not only be free from fear and anxiety but also from the unjust social system. The Free and Enlightened Being (Arhat-Bodhisattva) has an absolutely splendid mind that he efficiently and tenaciously puts at the service of others, since the libertarian meditation constantly perfects (pāramī) generosity, ethical conduct, self-renounce, wisdom, energy, patience, honesty, determination, unconditional love and equanimity. In fact, the development or perfection of all these characteristics are what allows the apprentice being able to become a Self-Enlightened (Sammasambuddha). Long before reaching Awakening (Bodhi), Master Gautama practiced and specialized in self-mortification (attakilamatthánuyoga) and the extreme difficulty (dukkara-kiriyá) with two great ascetics masters: Álara Káláma and Udaka Rámaputta, who taught him the eight stadiums (jhanas) of concentration (samadhi). However, this yogic practice of asceticism did not lead him to the Cure (Nirvana), since the Awakening (Bodhi) was experienced by himself thanks to the contemplative practice (Samádhi-Vipassana). For that reason, it should not be considered that his ascetics instructors were who truly taught Gautama the pathway towards the Cure (Nirvana), who after finishing the eight mystical stadiums decided to dialectically return to the fourth stage, thus centralizing his spiritual experience in the Middle Way. In this way, Gautama utilized the metaphysical experiences of infinite space (Ákásánacáyatana), infinite consciousness (Viññánancáyatana), the absolute Nothingness (Ákiñcaññáyatana) and the non-perception-and-non-apperception (Nevasaññánásaññáyatana), but he did not stay attached to them, as these transindividual stages are characteristic of the completeness (pseudonirvana). This decision to adopt the Middle Way opened a totally new spiritual path in Ancient India, focusing all the mystical awareness on the objective of Clear Vision (Ñana) in the cultivation of inner introspection. But the subject who develops this pathway does not only achieves mental health and inner happiness, but also acquires compassionate wisdom (karuna-prajna) or peak knowledge (satori) through the Mystical Way of the Clear Vision (Samádhi-Vipassana), which is a procedure leading to the Supreme Self-Awakening (Samma Sambodhi). In this pathway the Spiritual Love and intelligence are unified into a new higher and amplified state of consciousness (H-ASC), by flourishing the profound and intuitive Vision (Ñána-dassana) that is essential in order to give impulse to the building of a new better world. Thus, the contribution of Gautama and Jesus for the Maitriyana is genuine and indisputable, because their practice of libertarian meditation allows the humanity to reach to Salvation and Evolution. Without the operation of compassionate wisdom (karuna-prajna) the world will not be able to survive the capitalist Apocalypse, reason why the Visionary Knowledge of the spiritual master is indispensable to adequately overcome the conflicts of the contemporary world and make flourishing a new humanity transformed and purified from all contamination. Only the force of contemplation (zen) then allows to express the beauty and joy of a better world. Although Siddharta Gautama reached the Adequate Self-Awakening (Samma Sambodhi) by himself, he certainly was nourished with tools which allowed him to reach such a state, because he does not only had learned the technique of concentration (samadhi) from yogic asceticism, but also as a prince he received an academic education in three main fields: the science of psychology, the philosophy beliefs, and finally, the liberal arts of politics. Undoubtedly, these three disciplines contributed to lay the foundations to then create the Analytical-Existential-Libertarian Discourse (Buddha-Dharma-Sangha), so that the knowledges of these three disciplines led Gautama towards the Awakening (Bodhi). These knowledges, theories and practices helped Gautama a lot in order to give him a clear expression to the ineffable Middle Way of Spirituality. Therefore, the method of the Buddhist Socialism is based on the own findings and experiences of Gautama and Jesus, who have crossed supreme knowledges that stand out and shine above any other existing vision. Definitively, no one has achieved to overcome them in the discipline of Spirituality. The Free and Enlightened Being (Arhat-Bodhisattva) is the incarnation of the most special aspect of the Earth (Gaia), always teaching to care for the living beings that inhabit it. Therefore, the compassionate wisdom (karuna-prajna) of the spiritual master is always imbued with limitless love and the maximum purity. Gautama and Jesus never said one thing and then they did another one, because their honesty and sincerity have always been nourished by the Way of Reconciliation (Maitriyana). This is because for the Buddhist Socialism it is a duty to correctly and adequately perceiving and understanding the Real, by demonstrating in act that which is preached. This simple method is the basis of spiritual attitude in order to overcome conflicts and crises of life. However, the art of providing an adequate solution to the problems of the world requires the Full Attention (Mindfulness) by the apprentice, which must have great lucidity and patience. In this sense, the four pillars which must practice the individual who follows the wise and compassionate Force of the Maitriyana are determination (chanda), vigour (viriya), the awareness raising (citta) and active knowledge (vimamsá). These four factors are indispensable for the socialist libertarian revolution and its Purpose (Dharma) to save humanity, because they represent the counterpower of the Spiritual Love and compassionate wisdom (karuna-prajna). Thus, the Buddhist Socialism raises the four remedies of peace, social justice, education and ecology as a way to expand the state of consciousness of humanity, by raising the evolutionary development of the world through the nutritious and full energy of the Cure (Nirvana). Precisely, the Maitriyana poses Gautama and Jesus as the supreme example of Spiritual Love and Compassionate Wisdom (Karuna-Prajna) applied to the adequate solution of the problems of society, promoting the idea of generosity and selflessness as a vital attitude for the Salvation of the world. In this way the Free and Enlightened Being (Arhat-Bodhisattva) seeks that the peoples abandon the path of material gains to head towards the Awakening (Bodhi), which means being an ally of Solidarity and Truth to fight against greed and lie of the capitalist civilization. As Gautama and Jesus have taught, by residing only in Righteousness and Holiness is that the death is overcome. Dhiravamsa, Crisis y solución: unión de opuestos.